In a post to the carrier's public policy blog, AT&T representative Bob Quinn characterized criticism of the carrier's decision as a "knee jerk reaction" in which some have "rushed to judgment." The Federal Communication Commission's net neutrality rules require that carrier policies be transparent, and prohibits carriers from blocking services that compete with their own. Because AT&T does not have a "similar preloaded video chat app" to compete with Apple's FaceTime, Quinn said the carrier believes it is not in violation of the FCC's rules on blocking applications. "The FCC's net neutrality rules do not regulate the availability to customers of applications that are preloaded on phones," Quinn wrote. "Indeed, the rules do not require that providers make available any preloaded apps. Rather, they address whether customers are able to download apps that compete without voice or video telephony services." Quinn said AT&T still allows users to download video chat applications from the iOS App Store and other mobile application stores. Apple's FaceTime, however, comes built in to the iOS mobile operating system on the iPhone. "Although the rules don't require it, some preloaded apps are available without charge on phones sold by AT&T, including FaceTime, but subject to some reasonable restrictions," Quinn said. "To date, all of the preloaded video chat applications on the phones we sell, including FaceTime, have been limited to Wi-Fi." Starting with the launch of iOS 6 this fall, the iPhone 4S will be capable of making FaceTime calls over 3G wireless networks. But AT&T announced last week that FaceTime calls over 3G will only be available to customers who sign up for the carrier's upcoming Mobile Share data plans. "To be clear, customers will continue to be able to use FaceTime over Wi-Fi irrespective of the data plan they choose," Quinn said. "We are broadening our customers' ability to use the preloaded version of FaceTime but limiting it in this manner to our newly developed AT&T Mobile Share data plans out of an overriding concern for the impact this expansion may have on our network and the overall customer experience." He added that AT&T will be in a "learning mode" following the launch of iOS 6 to see the kind of effect FaceTime over 3G has on AT&T's network. 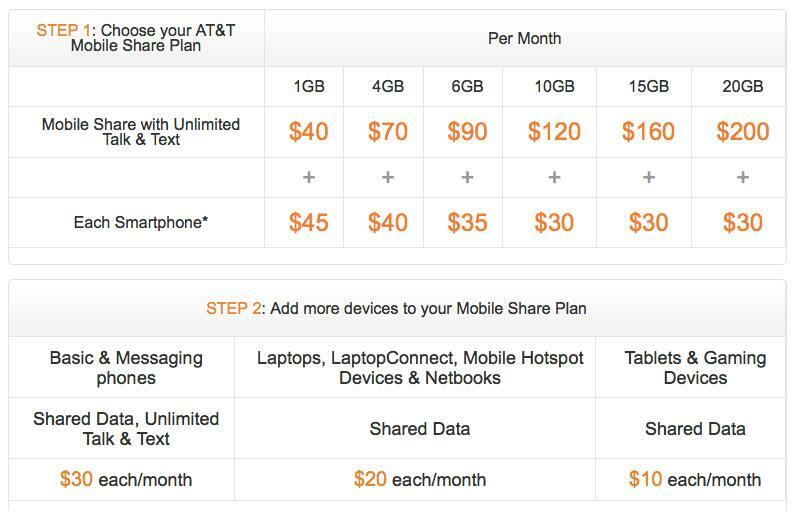 AT&T's Mobile Share plans launch later this month start at a monthly price of $45 per smartphone, plus $40 for 1 gigabyte of data. The more data a subscriber adds to their plan, the less the cost per gigabyte and the cost per additional smartphone. For example, a 4-gigabyte plan with unlimited talk and text has a base price of $70, plus $40 for each smartphone.